Seven million pets go missing every year. That’s a lot of animals away from home, and any pet owner could tell you how heartbreaking it would be for a beloved cat or dog to be lost. Of those pets, 26 percent of dogs will be returned to their owners, but only five percent of cats will make it back home. There are plenty of reasons that cats are returned less often. Dogs are way more likely to have microchips or collars with identification tags. Cats are also better at hiding when they don’t want to be found. They can get into smaller areas quietly without drawing much attention. Also, people don’t feel threatened by a roaming cat, but some people would feel threatened by a loose dog. So they aren’t as eager to call animal control on a kitty. And when people see a cat outside, they assume it’s feral or that it’s an outdoor cat that will find its way home eventually. The Kitty Convict Project has come up with a solution to this problem. They say that if you have an indoor cat, you should dress it in orange. 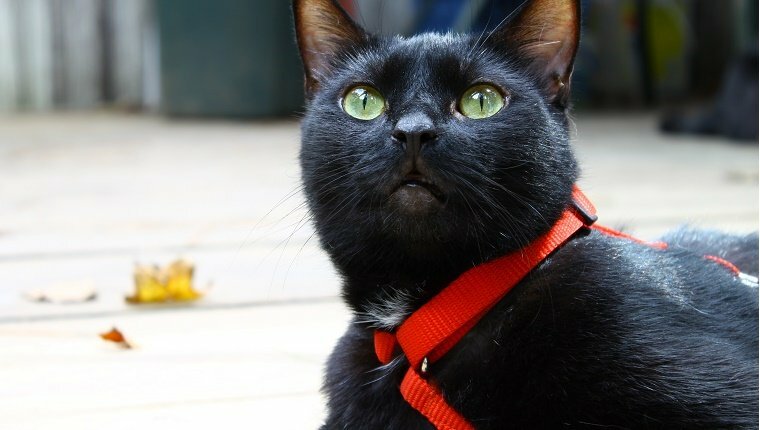 Orange collars, harnesses, or scarves are very reflective and easy to spot. And this will let anyone who sees your cat know that it is not an outdoor cat, and it should be returned to its home. It’s based on the idea of dressing prisoners in orange to prevent escape. While I don’t like the idea of a cat being a prisoner, it seems like a great way to help lost cats get identified. 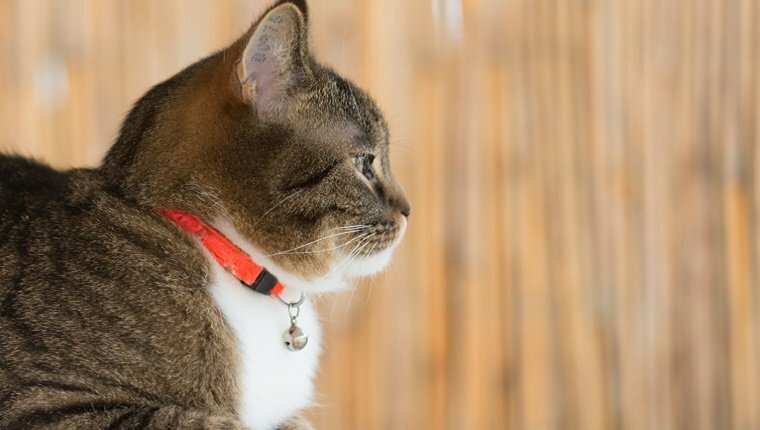 The Kitty Convict Project also offers orange collars with custom identification tags that will make sure cats’ owners can be found easily. Anything that helps lost pets get off the street and back home to safety is a good idea in my book. What do you think? Will you be dressing your cat in orange from now on? Let us know in the comments below.